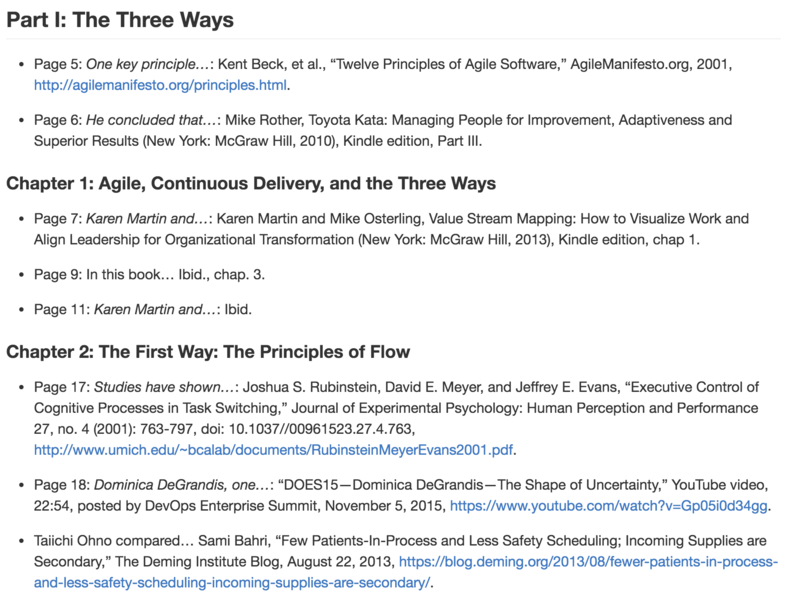 To make things easier for readers, ''The DevOps Handbook'' author Gene Kim has posted all of the endnotes from his most recent book to a GitHub repository. 5+ years in the making. 101,365 words (134,000 with the index). Personally, I have a tremendous sense of satisfaction about the 509 endnotes. In some ways, the citations (in the form of endnotes) show the foundations that the book is built upon, both in the principles, practices, metrics and case studies. Because of the nature of this book, unlike almost all of my previous projects, we felt it was important that every statistic and quote was cited — as well as thoroughly fact-checked. We wanted every citation to be easily found. Achieving this last objective required quite a bit of work. Many of the citations in the earlier versions of the manuscript pointed to hour-long videos, so a team of people worked to verify that the quote was accurate, often corresponding with the speaker to ensure that the spirit and intent of their quote was preserved. Here are the endnotes posted in their own GitHub repo. 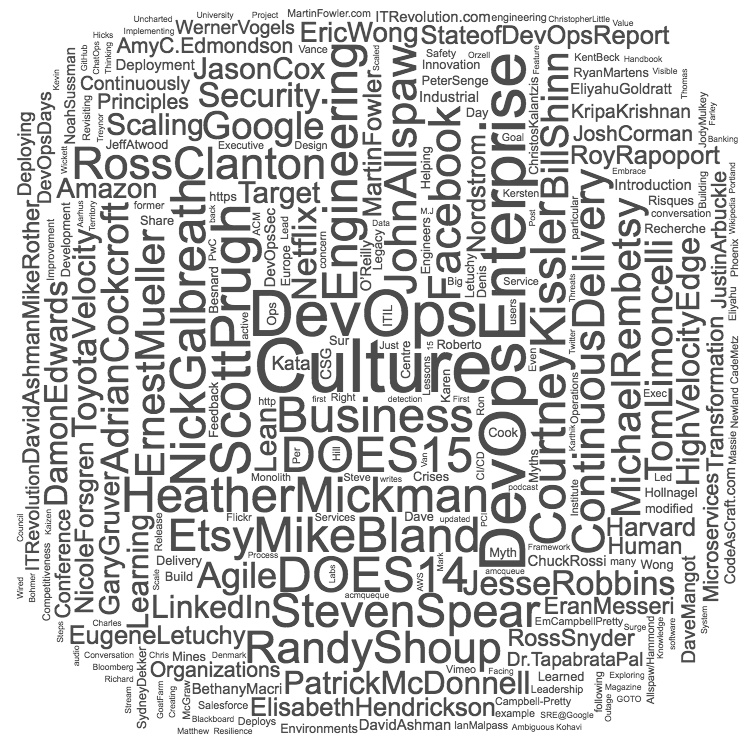 You can clearly see who and what influenced The DevOps Handbook. I hope this is helpful, and let me know what you think! Cheers!